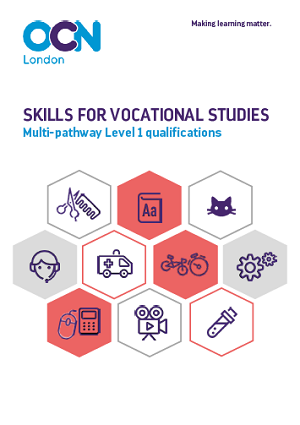 We can help you support your learners to succeed and progress with our new suite of flexible, multi-pathway vocational qualifications. We wanted to make sure that our qualifications are what your learners, teachers and trainers really need. So we have developed them with the support of further education colleges, training providers and adult community learning providers. They are consistent with the principles for study programmes for 16-19 year olds. In addition, they are relevant - particularly in the case of the smaller qualifications - for adults, including those who are unemployed. All the learning units and many of the vocational units, in the new Level 1 qualifications come with free exemplar learning resources, which include unit content and information, tutor guidance, schemes of work, lesson plans, classroom activities and assignment briefs. 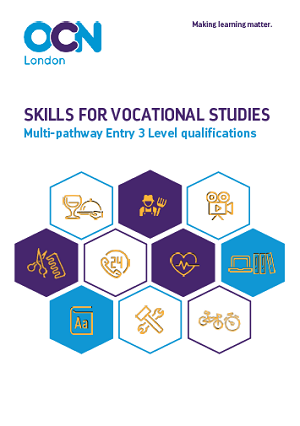 The entry level Award and Certificate in Skills for Vocational Studies have been designed to provide a flexible approach to study. They combine units from across 12 vocational pathways alongside learning and employability skills, English, maths and ICT. 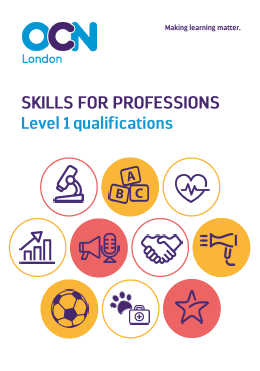 Offer your learners a flexible approach for successful study with our suite of Level 1 Skills for Professions qualifications. These are available in nine vocational pathways and include a range of learning and employability skills units to suit the different needs of your learners. The level 1 Award and Certificate in Skills for Vocational Studies combine units from the eleven vocational pathways in the Level 1 Skills for Professions, with additional units in maths and engineering. They provide a particular flexibility that enables learners to study units from more than one vocational sector. 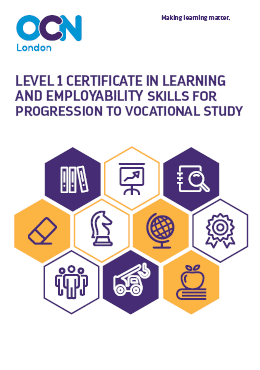 The aim of the Level 1 Certificate in Learning and Employability Skills for Progression to Vocational Study is to provide learners with the skills and knowledge required to progress to vocational study in any sector. It combines learning units at Level 1 and employability units at Level 2. 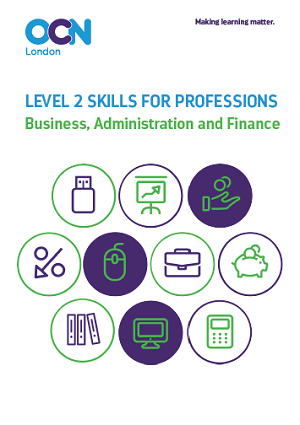 This suite of qualifications provides learners with the opportunity to consolidate and extend their learning in preparation for higher level vocational courses, Access to HE Diploma courses, apprenticeships or employment within one of seven vocational areas. Their size makes them ideal to be delivered alongside GCSE English and/or maths. Find out more about each qualification by clicking on the leaflet image or link to the qualification guide.